A new study found 63 percent of respondents in Texas failed a quiz based on questions from the U.S. citizenship examination. Texans, it turns out, don’t know their U.S. history. 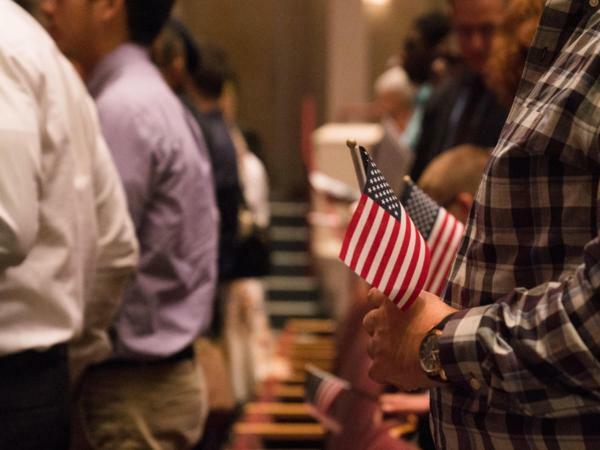 A new study from the Woodrow Wilson National Fellowship Foundation found 63 percent of respondents in Texas failed a quiz based on questions from the U.S. citizenship examination. The 41,000-person survey found roughly four in 10 respondents nationally couldn’t pass the 20-question test. Vermont was the only state in which a majority of respondents passed. Texas ranked 40th overall. The quiz was comprised of civics questions from the U.S. Citizenship and Immigration Service’s list of 100 questions that could be posed to applicants by nationalization test administrators. But Patrick Riccards, chief of communications for the Wilson Foundation, points out the survey given to the study’s respondents is easier than the one actually administered to those noncitizens hoping to nationalize. That 10-question test is administered orally, meaning would-be citizens don’t have the benefit of a multiple-choice safety net. Applicants need to answer at least six questions to pass the civics test. Only 15 percent of national respondents could correctly say when the U.S. Constitution was written; a quarter didn’t know speech was protected under the First Amendment. “No matter what state you live in, Americans simply don’t know their American history,” Riccards said. This was originally published on http://www.kut.org/.